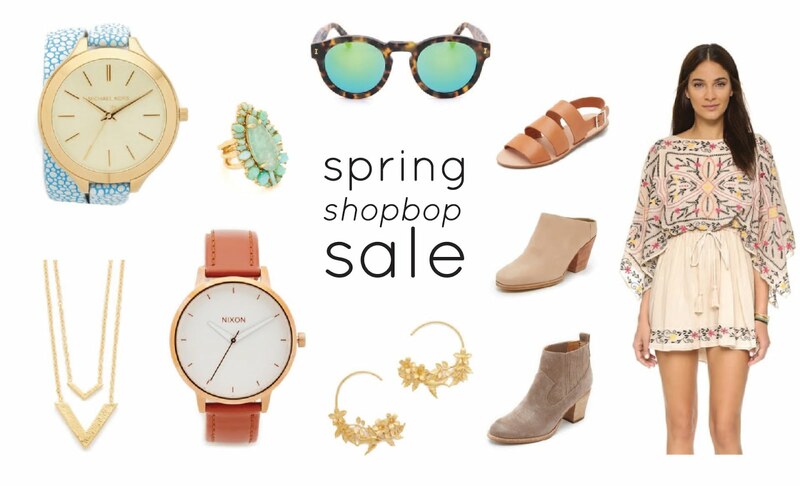 Not usually much of a peruser at Shopbop, but since there is a sale going on I took a quick look at some spring goodies and fell in love with like a dozen items. Now not all of them are necessary per say, but its definitely a good time to prepare for the season ahead and shave a percentage off the top. Sunnies, Watches, Shoes. All good basics! The details of the sale are listed above and the items I chose are linked in the widget below, happy shop-bopping!